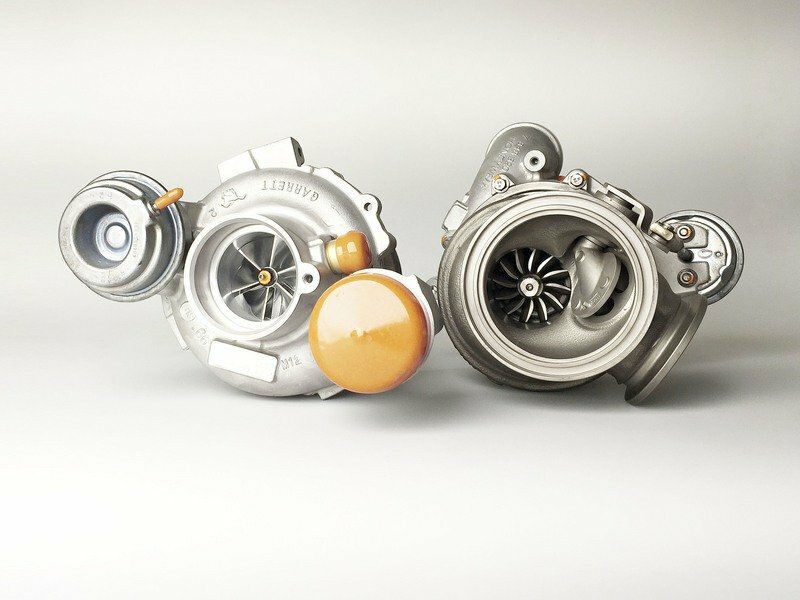 As impressive as it’s proven to be in creating engine upgrade programs, G-Power has always been hit or miss when it comes to modifications of the aesthetic and aerodynamic variety. Forget about any of that though because the German tuner didn’t even bother creating any upgrades on the convertible’s exterior. In fact, the only addition prospective customers can look forward to is a new set of 21-inch, five-double spoke Hurricane RR forged alloy wheels that not only help in cutting unsprung weight, but also aids in improving the car’s overall acceleration, cornering, and braking performance. Complementing the new wheel set are ultra high-performance tires measuring 255/30R21 and 295/25R21 in the front and rear, respectively. 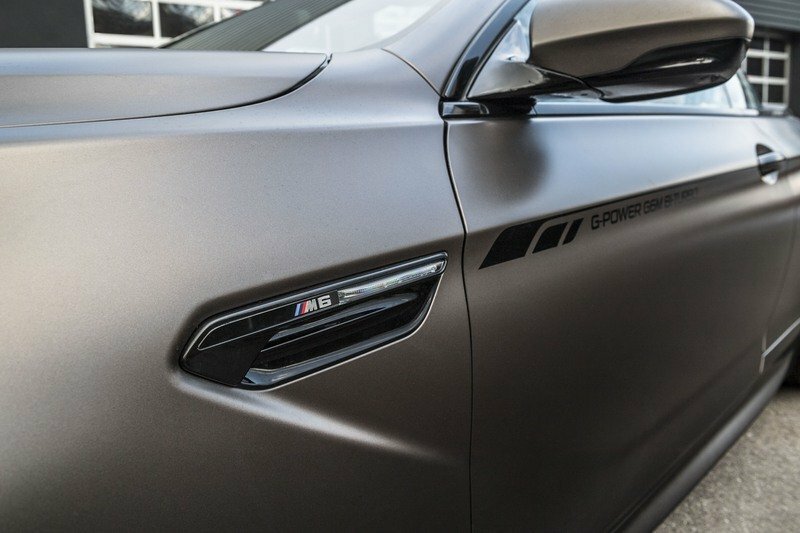 The lack of any exterior upgrades poses a challenge for G-Power to attract a segment of customers, especially those who are keen on dressing up the M6 Convertibles. Good thing then that there are other tuners who can pick up the slack with upgrades in this particular section. One tuner that can call itself an expert in tuning BMWs is AC Schnitzer and it just so happens that it’s got some nice mods to offer where the exterior of the car is concerned. One such aero package it offered in the past includes bits like a carbon fiber front spoiler, a chromed front grille, a rear spoiler, a rear diffuser, and a set of wheels measuring either 20 or 21 inches. 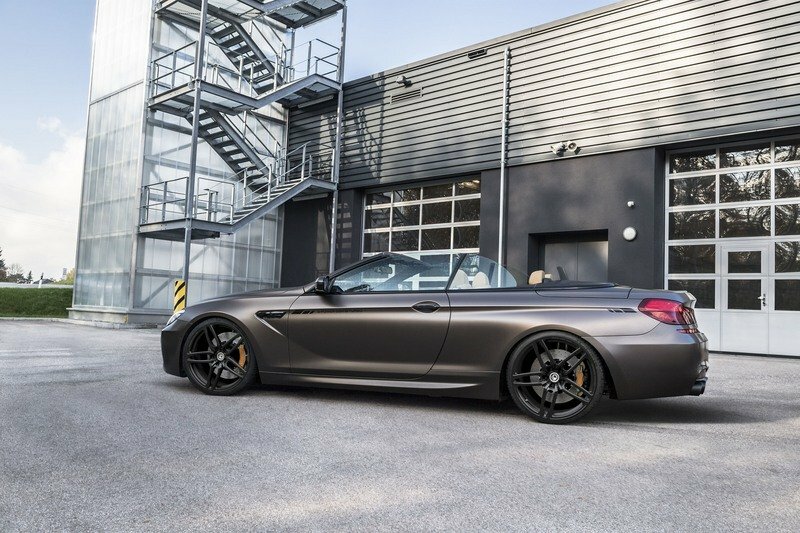 Another tuner, BBM Motorsport, also offered matte work on the M6 Convertible’s body, but for the most part, tuners who build programs for this particular model are more likely to keep the exterior in stock configuration. 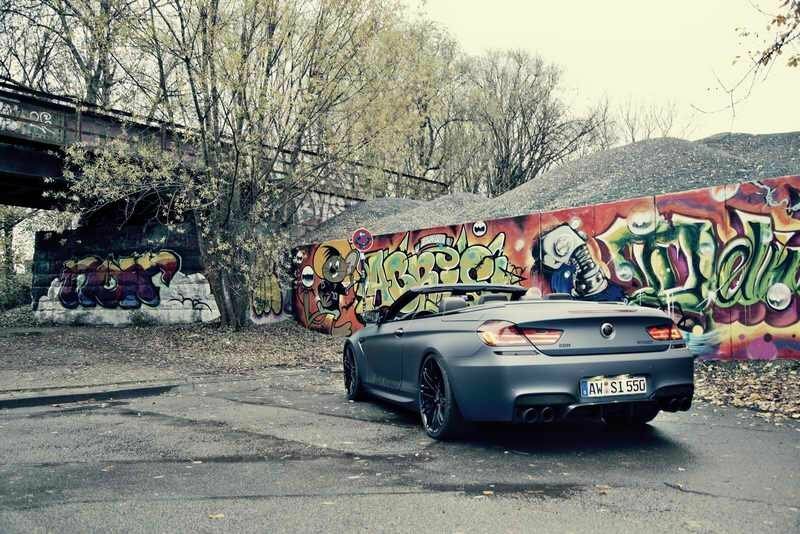 There are a number of reasons for that, including an admission of sorts from tuners that when it comes to exterior upgrades for BMWs, the best place to get them is through the German automaker itself. 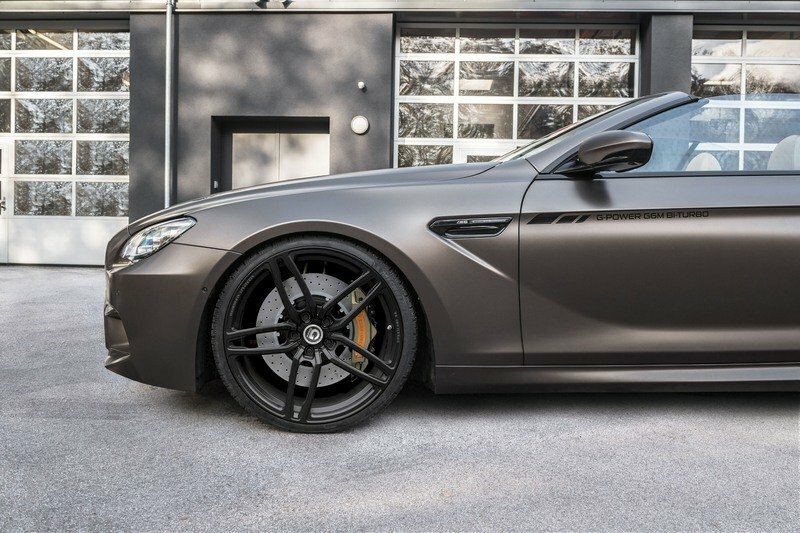 If you own a BMW M6 Convertible and you want it to look personalized to your tastes and preferences, the best way to get what you want is to go to BMW Individual, the German automaker’s in-house personalization division. This option provides the most choices, and it’s not even close. The Competition Package, for example, comes with a body kit, large air inlets, quad-exit exhaust, black tailpipes, and a black kidney grille with chrome-faced slats. Exclusive color options are also available with a few notable examples being Racing Yellow and a palette of Frozen-something shades. Far and away, the best option to get here is BMW Individual, and the best part about it is you can get the best of both worlds if you still want to go with G-Power’s engine upgrades. 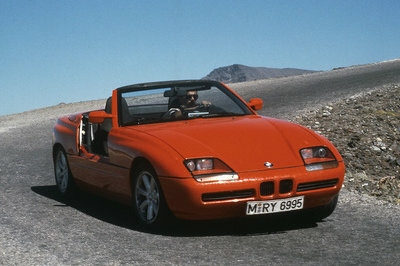 Note: Standard M6 Convertible shown here. It’s more of the same here, or rather none at all since G-Power has no interior upgrades for the BMW M6 Convertible to speak of. It doesn’t get any better either as most tuners don’t have anything better to offer. There are some exceptions though as companies like Hamann are known to be very creative with additions to a car’s interior, provided of course that customers are willing to pay a premium for them. 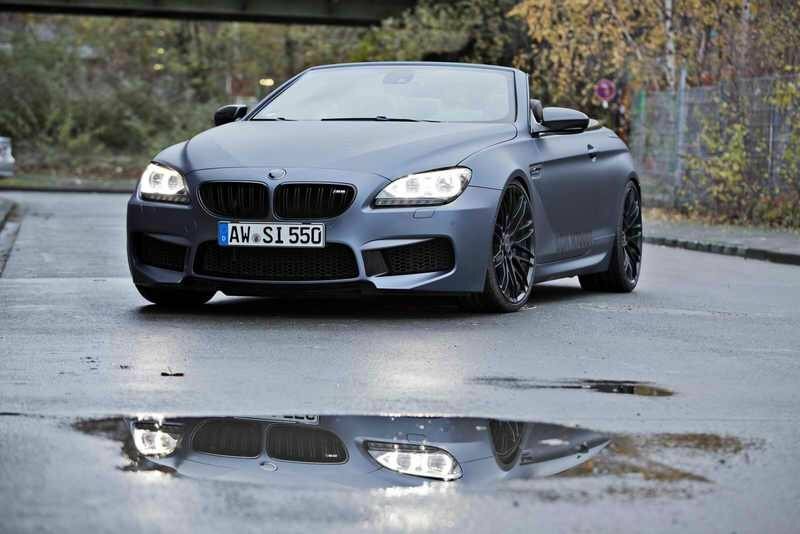 Take for example the German tuner’s “Mirr6r” program from 2013 for the coupe version of the M6. That one featured excesses in leather and Alcantara applications to go with aluminum pedals, footrests, and a host of optional accessories, including illuminated trims finished in chrome, among other bits and pieces. 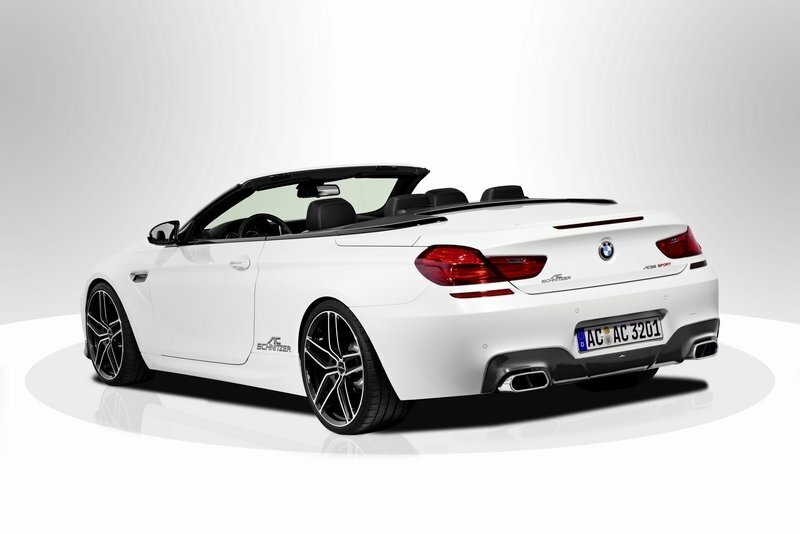 Another tuner, AC Schnitzer, also has a program available for the M6 Convertible. It’s less conspicuous than Hamann’s though, and the only things of note are the "Black Line" aluminum cover, aluminum pedal set and footrests, and velour floor mats. Thank the good Lord for BMW Individual. 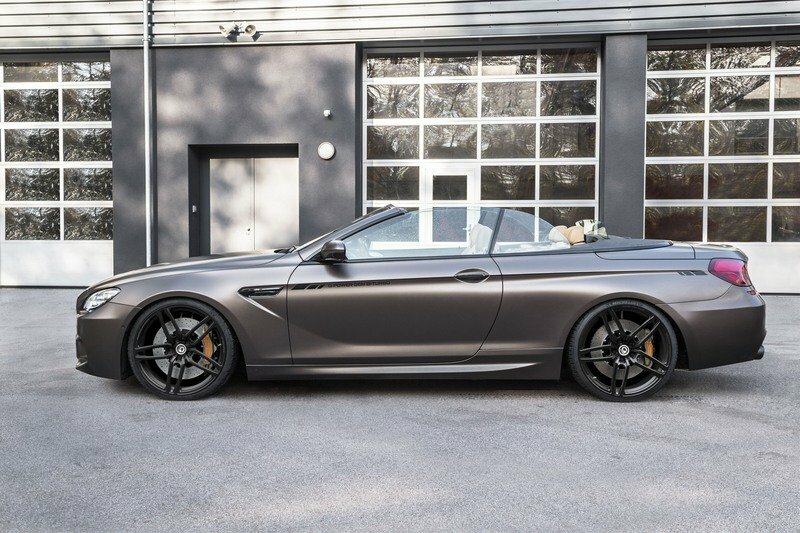 For the general lack of interest in the tuning world in dressing up the M6 Convertible, the German automaker’s personalization division is there to pick up the slack with a comprehensive list of options and accessories that customers can choose from. 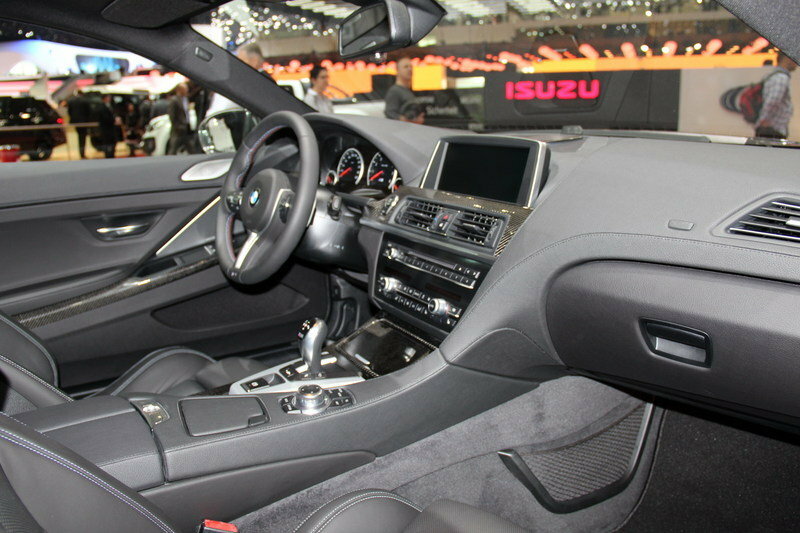 From premium materials like leather, Alcantara, and carbon fiber to colorful stitching to chrome trim options and the like, BMW Individual has the interior upgrades that the tuning world has largely ignored for a car like the M6 Convertible. It took a while of pointing out what G-Power did not have with this particular program, but finally, we’re now here at what it does have, and for what all of that waiting did, trust me when I say that it was all worth it. First, a quick recap of the M6 Convertible’s stock power and performance credentials. The two-door drop-top features a 4.4-liter twin-turbocharged V-8 engine that produces 560 horsepower and 501 pound-feet of torque. Those numbers are good enough to help the M6 Convertible sprint from 0 to 60 mph in 4.3 seconds before hitting an electronically limited top speed of 155 mph. The returns are impressive enough in their own right, but it’s not what G-Power would describe as such. 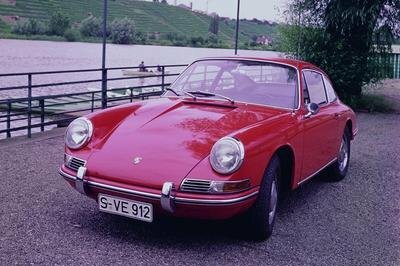 Using its 35 years of experience in the tuning scene, the German tuner went to work on the spiffy V-8, adding a series of upgrades to the engine’s hardware and software. 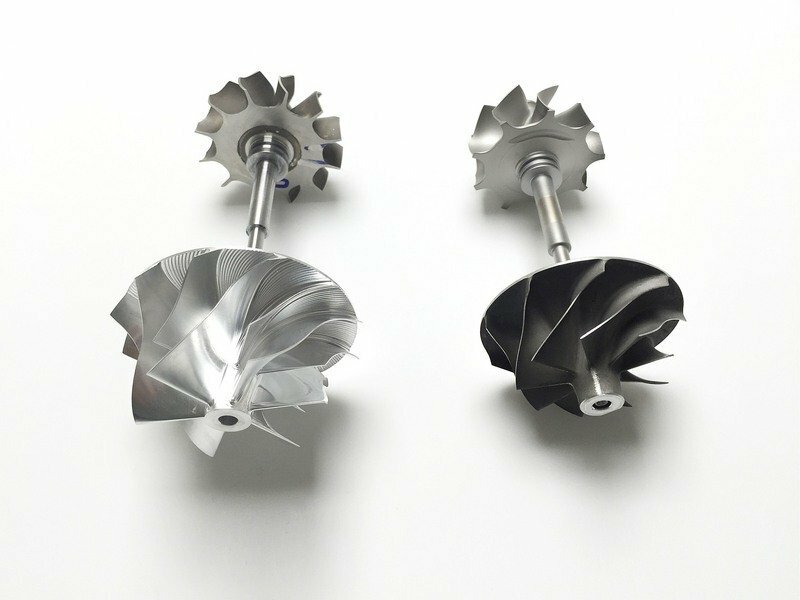 First up are the additions of a larger and more efficient turbine on the two turbochargers to go with new impeller wheels and uprated bearings. These additions to the V-8’s makeup, together with the use of the tuner’s very own Bi-Tronik 2 V4 tuning module, not only helps improve overall efficiency out of the engine, but it also helps increase the car’s total output to a staggering 800 horsepower and 774 pound-feet of torque. Do the math, and that adds up to an extra 240 horses and 273 pound-feet of torque to a car that already boasts impressive power and performance figures. 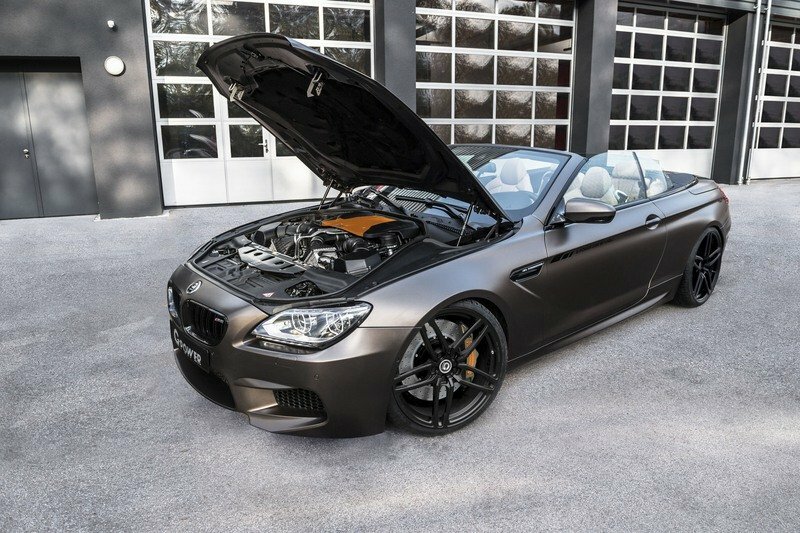 The last piece of the tuner’s engine upgrade program for the M6 Convertible comes in the form of larger downpipes and free-flow sport metal catalytic converters linked to a titanium exhaust that branches out into four carbon fiber tailpipes. Not only to these mechanical upgrades help ease the gas flow, thus reducing exhaust gas back pressure, it also accounts for the dramatic increase in power, which in turn helps improve the car’s overall performance. Speaking of which, the new performance numbers are just as impressive as the G-Power-tuned M6 Convertible is capable of sprinting from 0 to 124 mph in just 9.8 seconds and the top speed is now at 205 mph. Consider that: a BMW that weighs in excess of two tons can go 205 mph. That, friends, is what you call lethal. That said, it’s hardly a surprise to see an upgrade like this for the BMW M6 Convertible, especially for a company like G-Power. Remember, it was only a few years ago when it presented a different engine upgrade program for M6 Convertible. That one featured the tuner’s Bi-Tronik V2 program, which handled the bespoke remapping of the car’s ECU unit. 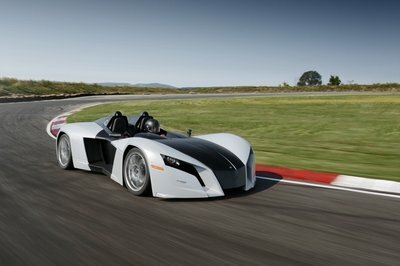 The result was an output of 740 horsepower and 720 pound-feet of torque, enough to propel the convertible from 0 to 124 mph in just 10.7 seconds before peaking at a top speed of 186 mph. If you’re in the mood to get those kind of power and performance numbers, there other tuners worth looking into. One of them is Noelle Motorsports, which isn’t as much of a household name as G-Power. 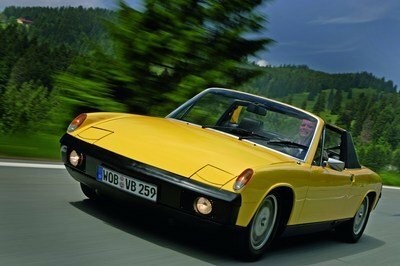 But even the relative anonymity wasn’t enough for the tuner to slack off on its engine upgrade program for the M6 Convertible. In fact, Noelle Motorsports doubled down on the kit by installing a software optimization unit and exhaust downpipes with free-flow sport metal catalytic converters. With those mods in place, Noelle Motorsports was able to squeeze out 766 horsepower and 650 pound-feet of torque out of the twin-turbo V-8 engine, enough to help the car propel its way to a top speed of 215 mph. Check out how G-Power two’s programs for the BMW M6 Convertible stacks up to Noelle Motorsports in the table below. Needless to say, all that power gains would be a waste if G-Power didn’t do its part in addressing the car’s suspension. Not only would it make the M6 Convertible horribly unbalanced, but the potential of the car being too difficult to control is present. So the tuner addressed by installing its own GM6-RS coilover suspension kit that comes with independently adjustable bounce and rebound control, providing the kind of improved handling and stability that allows owners to make the most out of the extra power that’s waiting to be unleashed under that long, sloping hood. The whole program costs €29,633, which converts to around $31,420 based on current exchange rates. That amount doesn’t include the actual BMW M6 Convertible, which itself has a base price of $120,000. For a quick breakdown on the prices of each component of the kit, check out the table below. 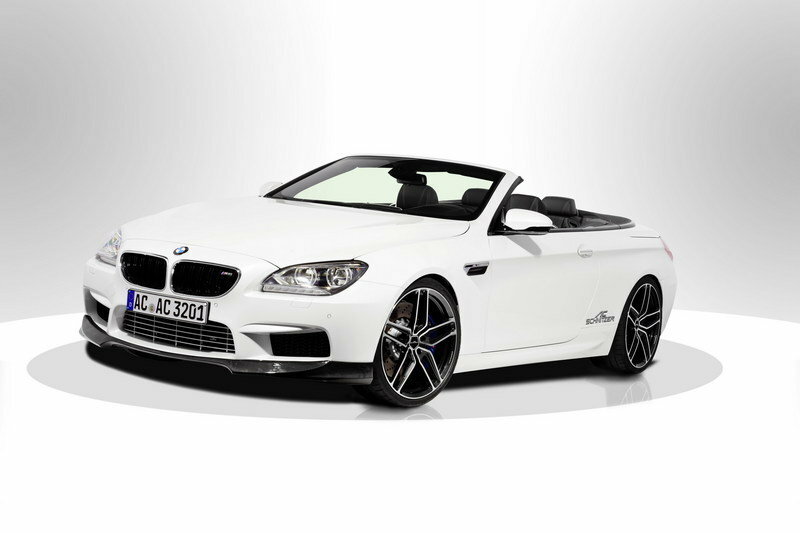 Ready for the total, including the BMW M6 Convertible? Well, prepare to shell out a little over $150,000! Gulp. This program is a little dated since BBM Motorsport presented it back in 2013. 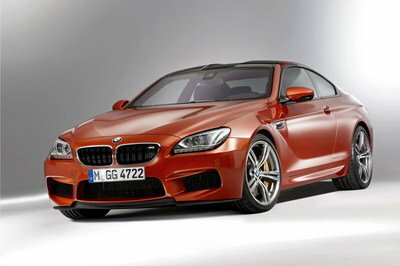 Still, it goes to show how long the tuning scene has been developing programs for the BMW M6 Convertible. For this program, BBM Motorsport’s upgrades include remapping the ECU and installing a complete Akrapovic exhaust with carbon end pipes, bringing the total output to an impressive 705 horsepower and 636 pound-feet of torque. The extra horses are not as big as what G-Power and Noelle Motorsports achieved with their own programs, but BBM was still able to get enough juice to help the M6 Convertible sprint from 0 to 60 mph in 3.5 seconds to go with a top speed of 190 mph. 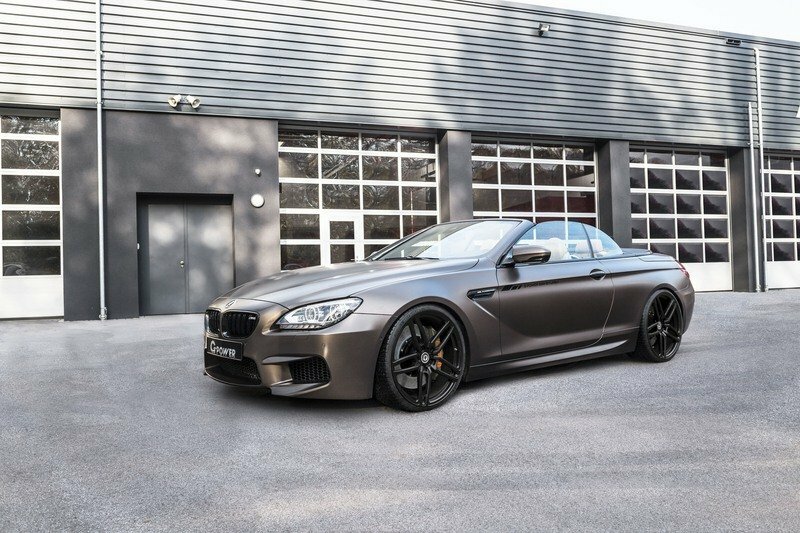 Read more about the BMW M6 Convertible by BBM Motorsport here. Customers are going to have to accept a few things about this program before they sign off on it. One, it’s largely an engine upgrade program mixed in with suspension modifications and a new set of wheels. They’re all impressive in their own right, but technically, there’s that “incomplete” factor that could dissuade some customers from getting it. But if that’s not an issue and there’s a willingness to look at other options as far as exterior and interior upgrades are concerned, it’s difficult to do any better than G-Power. That’s the kind of reputation the tuner has earned in the 35 years it’s been in the tuning business and based on what it accomplished here with all that 800 horsepower waiting to be unleashed, there’s no shroud of doubt that the esteemed and record-setting German tuner still has its touch.